CHANDIGARH, July 22: Former Chief Minister Capt Amarinder Singh today expressed grave concern over the alarming decline in fresh investments in Punjab saying it did not portend well for socio-economic situation in the state. “This is just because there is total policy paralysis in Punjab”, he remarked. “This is bound to lead to widespread unemployment and decline in state revenues eventually disturbing the socio-economic atmosphere in the state whose results will soon be before us”, he warned, adding, the government instead of denying the harsh realities must initiate corrective measures before it is too late. Referring to the recently released study by the Associated Chambers of Commerce and Industry (ASSOCHAM), Capt Amarinder said, it had vindicated his concern that Punjab under the leadership of the Akalis had lost the trust of existing investors and failed to attract any fresh ones. “Rather the situation is so bad that the existing investors are moving out and investing in other states as the study had established”, he said, while adding, the figures were corroborated by ground realities as the bicycle and garment industry was moving out of Punjab to states like Gujarat and Madhya Pradesh. The former Chief Minister pointed out that he had been consistently maintaining and reminding the government about flight of investors but it was hardly bothered. He said, the ASSOCHAM study has vindicated his position as when he left the government in 2007 the investments had peaked to Rs 36,650 crores in 2007 which have now come down to a negligible amount of Rs 2600 (rpt 2600) crores only. He said, what is more concerning, rather alarming, is the fact that against the phenomenal increase in investments at the national level there was massive decline in Punjab. “While there is a substantial increase of 44 per cent in fresh investments at the national level, there is a decline of 93 per cent in Punjab”, he pointed out. 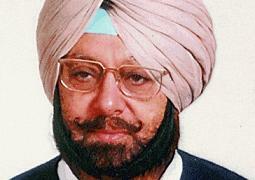 He said, it indicated that Punjab was lagging far behind other states. “While the other states are attracting fresh investments at an average rate of 44 per cent, Punjab is losing by 93 per cent”, he observed. Blaming the Chief Minister Parkash Singh Badal for the policy paralysis and lack of vision, he said, since there was no effort or intent on part of the government to build up the confidence of fresh investors, they were moving out. “Rather the existing ones have lost confidence in the government and they are moving out”, he said, while adding, “the situation needs a massive correction”. Will Swami Nithyananda say yes to Bigg Boss?